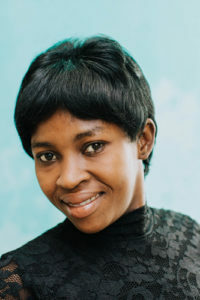 Vesline is now a beautiful young single woman with a handsome seven-year-old son. She finally left the father of her baby after he beat her so badly that she temporarily lost her eyesight. Thankfully, her sight came back, and the incident gave her the courage to be done with him. She thanks me every time I see her, and she considers me a mother to her. Her son goes to school and she is in no rush to have more children. Shelley Jean is a successful entrepreneur and dedicated advocate for the poor working in Haiti. For more information on Shelley's endeavors visit Papillon Enterprise, Papillon Marketplace, & Papillon Empowerment.